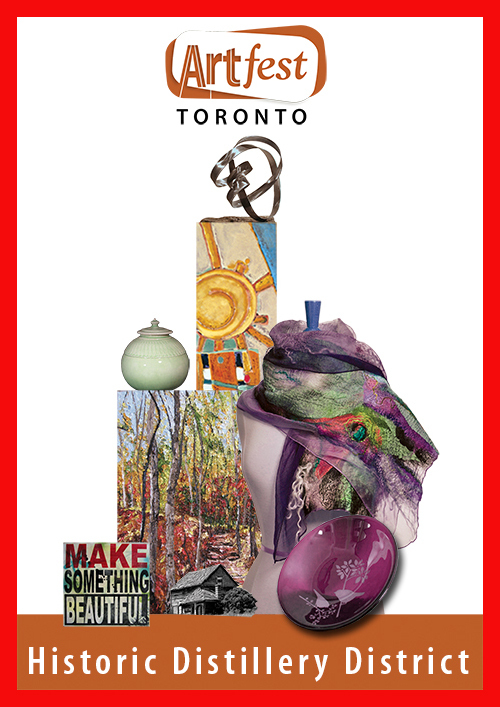 Our Artfest Toronto show is on August 29th - September 1st. This is our last show of the season in the unique Historic Distillery District. This event features 75 of Canada's talented artists and artisans featuring their paintings, pottery, glass, jewellery, clothing, wood turning, gourmet food and much more! Every show includes a mix of seasoned and new exhibitors to ensure the show stays fresh. Thanks to Celebrate Ontario, we offer outstanding FREE arts programming featuring live performance mural painter ARTHUR II, a variety of live music in two areas and ArtfestKids children's art workshops! Stroll the cobblestone lanes at the Distillery and be transported back 100 years. There is something for everyone so take some time to treat yourself to a memorable event to end the summer! Posted on August 9, 2014 by Lory MacDonald.